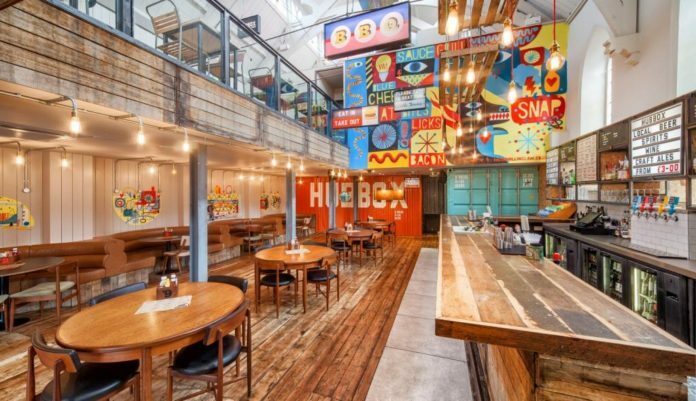 The Truro-branch of Hubbox has been shortlisted in the Restaurant and Bar Design Awards. Based in a former chapel on Kenwyn Street, the restaurant – art directed by St Ives-based agency Meor Design – has been nominated in the ‘restaurant or bar in a heritage building’ category. It is up against six other venues from across the UK, including sites in London, Liverpool and Glasgow. The Restaurant and Bar Design 2015 Awards ceremony will be held in London on October 1. Well done Hub Box Truro!